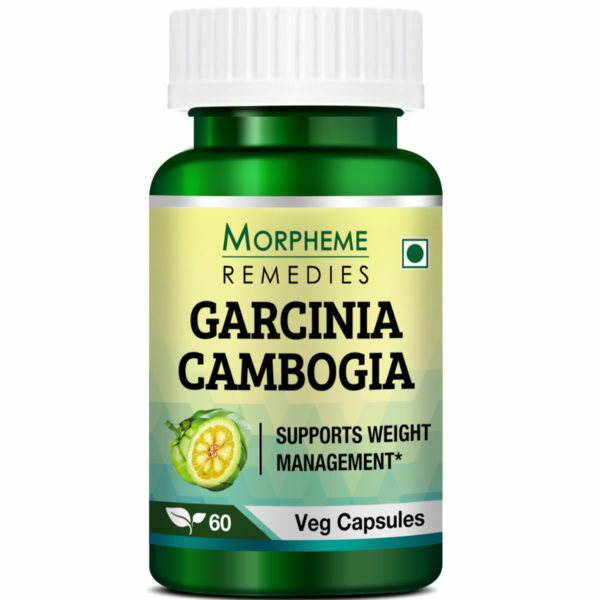 Morpheme Remedies Garcinia Cambogia is one of the best and safe recipes for weight management. This premium product has Garcinia Cambogia extract as its key ingredient and is known to support weight management. Made from the highest quality of citrus fruit extract, this supplement is 100% natural and veg. Also, this product has been well researched and tested and no side effect at all. Morpheme remedies pledge to provide all its consumers the best and safe supplements for healthy living. All our products are created after extensive research and tireless efforts of our team members. The complete range is cost-effective, sustainable and most efficacious. 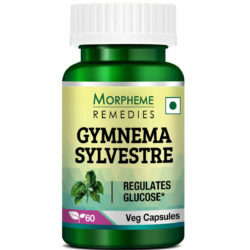 The Morpheme Remedies Garcinia Cambogia, Veg. capsules for Weight Management, is one of the most popular products of the company. A 100% natural product, the supplement could help provide desirable results when combined with a well-charted diet and exercise regime. Along with this effective supplement, eating a hearty protein-rich breakfast, consuming soluble fibers and whole foods and avoiding processed foods could show positive results. Moreover, the product is 100% vegetarian as the capsule encasing the herb is made from vegetarian cellulose. Garcinia pure extract with 60% HCA. Contaminant-free, high-quality Garcinia Cambogia extracts. Nature has many hidden treasures, the benefits of which are yet to be unearthed. One such fruit is the Garcinia Cambogia or the Malabar tamarind. The role of this fruit in weight management supplements has been crucial. It has been seen that most Garcinia supplements generally contain 20-60% HCA, but supplements with 50-60% HCA are believed to be most effective. Certain enzymes in the body slow down metabolism and store the calories in form of fats in the body . HCA blocks citrate lyase an enzyme which plays a role in the synthesis of fats in the body. HCA also helps in inducing secretion of the hormone serotonin, which helps suppress the appetite by increasing satiety and keeps you feeling full . IS IT SAFE FOR ANYONE TO CONSUME THESE CAPSULES? Generally yes. But these capsules should be avoided by those people who are already suffering from some disease, are on medications, have allergic tendencies, is pregnant or if she is breastfeeding a baby. Even if these conditions do not apply, it is best to consult a medical practitioner. Is Garcinia Cambogia safe for consumption? Garcinia cambogia is a safe supplement. Adverse reactions do not occur when it is taken according to direction. The Morpheme Remedies Garcinia Cambogia capsules contain premium quality Garcinia cambogia extract. The high HCA concentration enhances the effectiveness of the Garcinia cambogia supplement. It works best when combined with a balanced diet and moderate intensity cardiovascular workouts. Can I take Garcinia Cambogia with other drugs and supplements? Garcinia cambogia is a safe product. Nevertheless, if you are taking any drug or supplement, it is advisable to consult your doctor before taking this supplement. 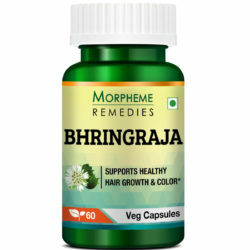 As the effect of Garcinia cambogia on pregnant and nursing women is not known, this ayurvedic supplement is not recommended for pregnant and breastfeeding women. I am suffering from weight problem and tried so many product, but all is waste of time and money. But garcinia combogia is amazing for weight loss as compared to others. Very effective product. I am fully satisfied with my purchase. Thanks for providing. It’s a very good product… And I could see changes in my body in just few month… It has no side effects. effects. They are well made weight loss supplements. These supplements really helping me reduce daily calorie intake and they burn fat quicker than I expected. This Product is awesome, I am using these capsules, their results are very effective as compare to others, there are no side effects so one can consume it safely. It is very effective i have been using it for about a week…there result are comes very Fast.. But overall everything was good and i do recommend it. A week ago I have purchased this product and I have been using it till now. I feel less hungry and I am very sure that within a few days I will lose my weight. So far this product is working very well and producing result what as it says . Already lost 3 kg in a month. Seriously curbs your appetite and it is all natural. I like that this product is made with all natural ingredients. It works great, I recommend it all. You will surely see results if taking these pills daily. This stuff is awesome…….Completely natural way to lose weight. The product is best in his category. Highly recommended!!!! I have lost 2 kgs in a week only by taking these pills. And even I have not changed my diet and daily work out. So according to my experience, everyone should try this product who want to lose weight. I am on second bottle of this product. These supplements work wonders! I have already lost 3kgs after just using it for a month! I will definitely be ordering them again and again. I have been recently started taking these pills and this is the best brand I have tried. I would surely recommend this product to anyone who is trying to lose weight. The product is perfect for weight reduction. I am able to eat what I wanted because these pills burn fat very fast. No side effects!!!! I have been using Garcinia Combogia for about 3 months and I have been very impressed with it. I observed immediate results in terms of appetite suppression. Also found that my energy level has more improved. It is better to choose this as compared to other products that contain stimulants which have wide number of side effects. An amazing weight loss supplement. When I added garcinia cambogia to my weight loss routine, in addition to diet and exercises, it accelerated the weight loss process. It made me feel less hungry, which made dieting easy for me. There was no side effect. Garcinia cambogia has helped in reducing my hunger pangs. Now I easily feel full after eating a small amount of food. I have modified my diet to ensure that I get the optimal calorie and all the nutrients in right quantities. I have also lost significant amount of belly fat after taking the supplement. Routine walking and a course of this wonderful capsule was enough to shed that extra weight. Of course, I keep away from deep fried products. Take this capsule and lose weight naturally. I have done it and I could lose about four Kgs in a month. I did not experience any side effects. This is a good supplement for suppressing appetite. Do not expect result overnight. It worked gradually and I could realize the difference in 2 to 3 weeks. This supplement is good for suppressing appetite. Do not expect result overnight. It works gradually. I could realize the difference in 2 to 3 weeks. A good appetite suppressant. It has helped in controlling my cravings. By modifying my diet and exercising and by taking garcinia capsules daily I am steady losing weight. The anti-obesity effect of garcinia is supported by scientific studies. This is the reason I bought this supplement. It helped in curbing my appetite. It is a reliable product for reducing cravings for comfort food. However, to lose weight, apart from taking this supplement, you have to exercise and eat low calorie healthy foods. This product is great. Combine it with healthy diet and exercise and it works wonders. It has helped me lose weight. Helped in reducing hunger without causing any side effect. Now I can easily feel full by eating a small healthy meal. The appetite suppressing effect of Garcinia cambogia is more noticeable. But for weight loss, you need to exercise to burn fats. I am on this garcinia supplement for more than 3 weeks. It has helped in reducing cravings and appetite. I am also feeling energized. I can now easily live on small meals and do workouts to lose weight. Garcinia Cambogia has helped in easing dieting. It has helped in restoring normal appetite. It also seems to have helped in increasing fat burning. I was a bit hesitant when ordering this garcinia supplement, wondering whether this is just a hype. However, after taking it I realized that garcinia actually works in suppressing appetite and assists in weight loss. It is worth trying garcinia cambogia if you want to lose weight. This is my favorite weight loss supplement. It supports healthy weight loss when combined with diet and exercise. It is a side effect free product. I am feeling less hungry after taking this garcinia supplement. Seems to be working for me. Garcinia helps in suppressing appetite. It appears to have helped in increasing metabolism. All the buzz about garcinia is right. It has helped in suppressing my cravings. It is a good energy and metabolism booster. Garcinia is a good product for reducing overeating. After I started taking this product, I feel more energized despite following a calorie restricted diet. It is helping in shrinking my waist circumference. Bought this product to control appetite, and it had helped. This is a trusted product for weight management. I have benefited by taking garcinia cambogia. It helped in reducing my cravings. I am also experiencing its metabolism boosting effect as I am losing fats and feeling energetic and could exercise easily. It is more effective in controlling appetite. My hunger is less than before. In a week it helped in decreasing hunger. Hope it helps in weight management. A good supplement for controlling appetite. It has helped increase satiety. I am feeling healthier and my mood has improved. It is helping in getting rid of the excess body fat. My exercising capacity has increased. This garcinia supplement helped me in getting over my overeating habit. It helped speed up metabolism and weight management. It helped me in staying full by eating smaller portions. A good appetite suppressant. It helped stop further weight gain. The garcinia capsules are effective in suppressing appetite. I found this product very useful for following my calorie-restricted diet. It helps in fat metabolism too. This is a good supplement for controlling hunger. My belly fat, my biggest concern, is gradually decreasing after I began taking this garcinia supplement. These garcinia capsules have helped in reducing hunger. It appears to help in reducing the body fats. To control my hunger I am taking these garcinia capsules, and they are working. Without this supplement it would not have been easy for me to suppress appetite and eat less. It also seems to have worked as a metabolism booster. This garcinia supplement is helping in controlling appetite. A good, side effect free product. I am losing belly fats after taking it. This garcinia supplement helped in reducing my excess hunger. It supports dieting without any adverse reaction. It appears to have helped in burning fats. A wonderful supplement for healthy weight loss. These garcinia capsules are very good for suppressing appetite without side effect. It helped me in eating less and losing weight. The garcinia capsules have helped in reducing my hunger without side effects. My cravings are now less. It has been good for the blood sugar management. With necessary dietary changes and exercises. Garcinia is a safe product for controlling appetite. It is helping me in consuming fewer calories. It is also helping in burning fats and reducing the belly fats. This garcinia supplement is a good appetite suppressant. There is no side effect. I’m feeling better and losing weight. Garcinia cambogia extract has helped in reducing hunger. It helped me feel full and satiated fast. Weight loss has become easier for me after I started taking this product. 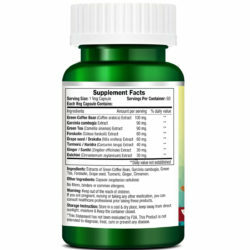 This supplement has helped in suppressing my appetite. It helped me overcome my unhealthy eating habit. It has helped in speeding up weight loss. Garcinia cambogia is a good appetite suppressant. It has helped in reducing my cravings. This is also working as a metabolism booster, helping in faster weight loss. This garcinia cambogia supplement has helped in reducing hunger. It has helped me in getting rid of my unhealthy eating habit. It is also helping in burning fats. Weight loss with diet and exercise has become easier. I am taking garcinia supplement to control my hunger. It has helped without causing any side effect. I feel happy and energetic and am losing weight. This garcinia supplement has helped in controlling my cravings. It is a wonderful appetite suppressant that helped me overcome my unhealthy overeating habit. I am losing fats after taking this product. I’m taking garcinia cambogia to control my hunger. After taking it for a few days, it started showing result. It helped improve satiety and mood. It is supporting weight loss. This garcinia supplement has helped in reducing my hunger. I’m losing weight with its help, in addition to diet and exercises. The garcinia supplement has helped in putting a brake on my appetite. I no longer experience the cravings and excess hunger. I’m losing weight and feeling fit. The frequent hunger pangs that were making me overeat have lessened after taking this garcinia product for a week. Expecting better result and weight loss. I am taking this product to control appetite. It has helped. It’s safe. I am feeling healthier and happy. This is helping in weight loss. It’s been a week that am taking this garcinia supplement. I am experiencing its appetite suppressing effect. Feeling less hungry. Good quality garcinia supplement. It helped suppress appetite. It seems to have boosted metabolism. Taking garcinia to control hunger and it is helping. It is also helping in reducing the fats. This is a good garcinia supplement. I feel less hungry and it has helped in reducing my cravings for comfort food. Dieting has become easier. I am losing weight. Dieting wouldn’t have been easy for me if I didn’t known about this garcinia supplement. Good quality garcinia extract. It helped reduce hunger and increased energy level. Its metabolism boosting effect helped speed up weight loss. Garcinia helped suppress appetite…feeling energetic and happy…losing weight. This helps suppress hunger…worked for me. I took garcinia to control appetite and it worked. This is a great aid for dieting. It has also given me energy and boosted my mood. Garcinia is helping in making me eat less. It has been of immense help in dieting. I feel energized for workouts. This garcinia supplement has helped in reducing overeating. Now I feel satisfied and full after eating small portions. I think it helped in speeding up metabolism. I’m losing fats after I added it to my weight loss regimen. The quality of the garcinia extract is good. It helped suppress appetite. This garcinia supplement is also good for metabolism. I am taking this product to suppress appetite. It helped in reducing excess hunger. I now eat small meals and feel full fast. This garcinia product is helping in controlling excess hunger. Now I don’t feel hungry frequently and my hunger is easily satiated. Garcinia helped control excess hunger. My hunger pangs are now less severe. Getting rid of the fats from my body couldn’t have been easy without the help of this product. Eating calorie restricted meals has become easy after taking this garcinia supplement. It has been good for my mood and seems to have improved metabolism. After taking garcinia for a week I am feeling less hungry. It helped reduce overeating. My energy level is higher and I am feeling good. Garcinia helped boost my body’s metabolism. I’m burning fats fast after taking this supplement. It helped suppress appetite without causing any adverse side effect. Garcinia is helping me in eating less. It helped suppress excess hunger without any side effect. I feel happier and energetic. It seems to have given my metabolism a boost. Garcinia helped in decreasing excess hunger. It started working from the first week. Now I feel full fast and losing weight by exercising and dieting. Garcinia camobgia helps in suppressing appetite. I am taking it for a week and feeling less hungry. It didn’t kill hunger, it only helped reduce excess hunger and cravings that made me overeat. I’m feeling good. I am feeling less hungry after taking this supplement. There was no side effect such as nausea or fatigue. Instead feeling better and can exercise longer. Taking garcinia for a week and am feeling less hungry. It is helping me in dieting. Garcinia helped in improving my eating habits. By taking it, I’m losing weight by dieting. An excellent product for suppressing appetite and weight loss. This garcinia extract helped suppress hunger. It helped reduce overeating. With the help of this product and daily exercises, I am steadily burning fats and losing weight. This product helped decrease my hunger. This is helping me in dieting without causing any harmful side effect. It has been good for my mood. Garcinia is a useful supplement for weight loss. Garcinia helped suppress appetite. It helped reduce excess hunger that was making me overeat. It has also been good for my mood. I consider this an important supplement for losing weight. Garcinia helps in controlling appetite. This is an important supplement for healthy weight loss. I am taking garcinia extract to control cravings and get rid of excess hunger. It has helped. This supplement helped in suppressing appetite without any side effect. Now I can eat the right amount of food that helps in maintaining my energy level without increasing my body weight. After taking garcinia I rarely experience the urge to overeat. It is a good quality product for weight management. Garcinia is an excellent natural appetite suppressant. It helped me overcome my overeating habit. I feel satisfied after eating my recommended calorie. I feel energetic and healthy. This garcinia cambogia supplement worked as described. It is helping me in healthy eating. It has also been good for my mood and energy level. I am taking garcinia for a month. It helped curb appetite without any adverse reaction. My energy level is higher and mood has improved. This supplement helped restore normal appetite. Now my cravings are less and I hardly overeat. I feel better and can easily stick to my diet and exercise regimen. Dieting has become easier for me after I started taking this garcinia supplement. It helped suppresses cravings. Appears to help in metabolism. This supplement helps me stay on track with my weight loss goal by suppressing my cravings. I feel energetic and happy. A useful product for controlling appetite and weight loss. It shows result in a short time. I started using this product three months ago. It has been effective in suppressing appetite. It is helping in weight loss. Supports better metabolism. Garcinia is very useful for curbing appetite. It is helping me in consuming the right amount of calories. It helps me feel full fast. Good for mood, health, metabolism and weight loss. Works well in reducing excess hunger. Helping me in dieting without any side effect. Energy level is higher. This supports weight loss by suppressing appetite. It was very helpful for me. It helped me stop overeating. Garcinia supports metabolism. Garcinia helped in faster weight loss by suppressing appetite. I feel energized despite eating less. I do not feel hungry and can exercise. An excellent supplement for controlling hunger. Feeling healthier, energized and losing weight by exercising and dieting. An excellent supplement for suppressing hunger. 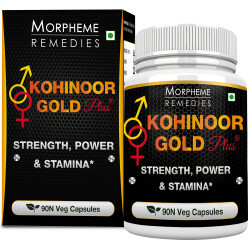 It is a beneficial product for overweight people who experience frequent hunger pangs that make them overeat. A safe supplement. Works well for me. Helps curb appetite. Important supplement in my weight loss program. This helped in curbing hunger. Now I eat less and do not feel hungry fast. It is good for metabolism. A useful supplement for healthy weight loss. A trustworthy garcinia supplement. It helped reduce appetite. Now I eat less and feel energized and can exercise. This is helping in reducing my body weight. This is a good product for reducing hunger. I’ve benefited a lot by taking it. Garcinia is an effective product for reducing hunger. It helped me in eating less and suppressed hunger pangs. This is an important supplement in my weight loss program. Taking this garcinia supplement to control excess hunger. It has been quite effective. Helps in losing weight. I took garcinia to suppress hunger. I started noticing its effect on appetite in a few days. I do not feel the urge to overeat. It has helped in making me more energetic. Garcinia is a wonderful natural and safe product for curbing hunger. Now I eat less and do not experience cravings for sweets and unhealthy snacks. Feel more energetic and am losing weight by exercising and dieting. This is a great natural product for suppressing hunger. After taking it, in a short time I started eating less. With moderate exercise, now I am losing weight. I’m taking garcinia extract for a month. My main problem was I felt hungry too often and overate. Fortunately, garcinia helped in reducing hunger. This has been quite effective in boosting energy and am losing weight by exercising. Taking this product to suppress appetite and reduce overeating and it has helped so far. I feel more energetic. Garcinia seems to help in reducing hunger by increasing satiety. It appears to be a good supplement for weigh management. The quality of the garcinia extract in this supplement is very good. It is helping me in eating less and weight management with diet. Suppressing appetite has become easy by taking this garcinia supplement. It helped reduce my food cravings. I feel full quickly. I am now more energetic and can exercise longer. This garcinia extract is good for controlling appetite. It worked for me. There was no side effect. A good metabolism booster, helping in faster weight loss with exercise and diet. Garcinia Cambogia (Vrikshamla) Extract HCA>60% 500mg. Other Ingredients: Capsule(Vegetarian Capsule), 100% Vegetarian. No Fillers, binders or common Allergens. Morpheme Remedies Garcinia cambogia capsules do not contain additives, fillers, binders and synthetic ingredients. It is fully natural product. Directions: 1 Capsule thrice daily before meals. Take 1 capsule 1-2 times a day before meals for optimal results. Combining with a diet plan and exercise routine is advised.